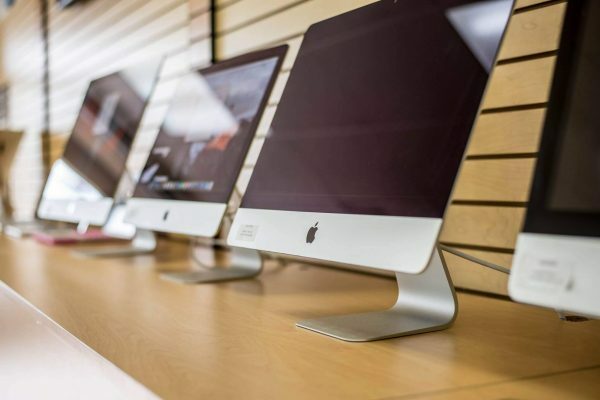 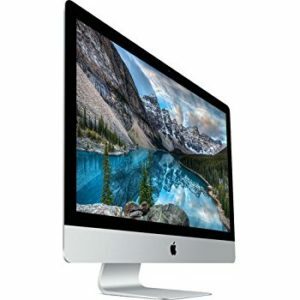 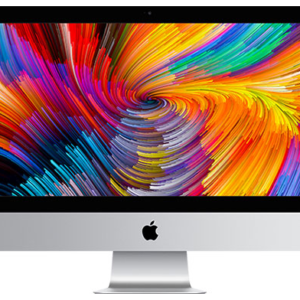 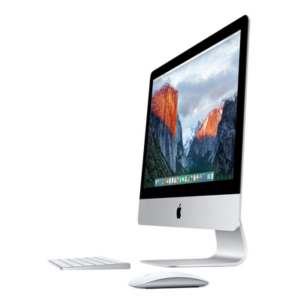 The iMac “Core i5” 2.3 21.5-Inch Aluminum (Mid-2017/Kaby Lake) features a 14-nm “Kaby Lake” 2.3 GHz Intel “Core i5” processor (7360U) with two independent processor “cores” on a single chip, a 4 MB shared level 3 cache, 8 GB of 2133 MHz DDR4 SDRAM that is reportedly onboard — but actually can be upgraded later — a 1 TB (5400 RPM) hard drive, and an “integrated” Intel Iris Plus Graphics 640 graphics processor that shares system memory. 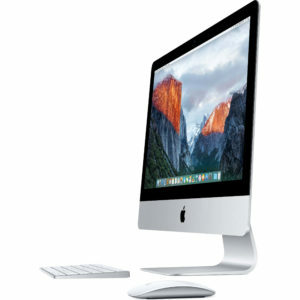 It also has a built-in “FaceTime HD” webcam and stereo speakers. 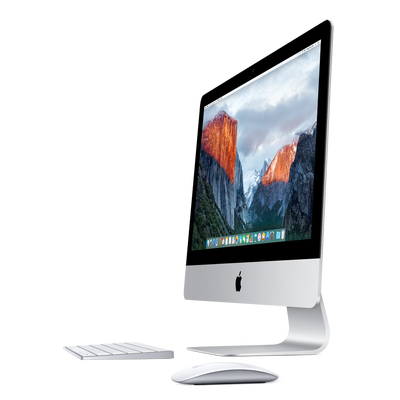 This model has a 21.5″ 1920×1080 LED-backlit 16:9 widescreen IPS display with a fully laminated glass cover and an anti-reflective coating. 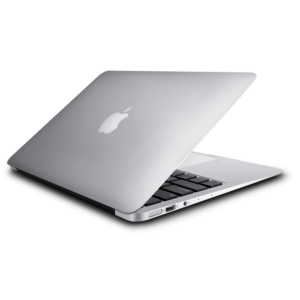 The rear of the case is aluminum and is thicker in the middle and tapers to a razor thin 5 mm at the edges. 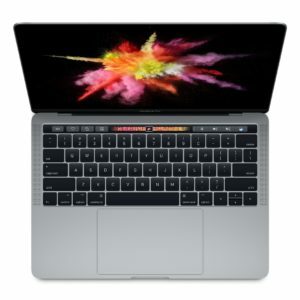 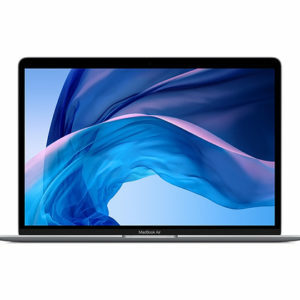 Compared to its predecessor, this model essentially has the same external enclosure, but it has a more advanced processor, architecture, and graphics as well as Thunderbolt 3 (USB-C) ports.